When the England Cricket Board suspended Ben Stokes ahead of the Ashes, hundreds of fans responded by backing Australia to enjoy another whitewash Down Under. It could have been written off as gallows’ humour, as the odds were an ambitious 9/1, but those England fans may now be laughing all the way to the bank. Joe Root’s men are already 2-0 down in the five-test series and have been well beaten in both tests so far. England need to do something drastic to turn their fortunes around, and could be tempted to reintroduce Stokes to the fold. Could he save the Ashes? Reinstating him would be a huge decision as he is still being investigated by Avon and Somerset Police on suspicion of assaulting a fellow reveller outside a Bristol nightclub. He was ruled out of the tour of Australia as selectors felt it would send out the wrong message to young fans. To call him up while he is still under investigation might be an ethically questionable move. The tour has already descended into a shambles, with Johnny Bairstow embroiled in a headbutt scandal and Ben Duckett suspended for pouring a drink on James Anderson. The powers that be have to be very careful about how they handle the Stokes situation because it the team is already fast becoming a national embarrassment. However, he is still yet to be charged for an incident that occurred months ago, suggesting it is not an open and shut case and he may well find that nothing more comes of it. With that in mind, Stokes has been called up to the England ODI squad for the tour of Australia along with Alex Hales, who was with him on the night out. 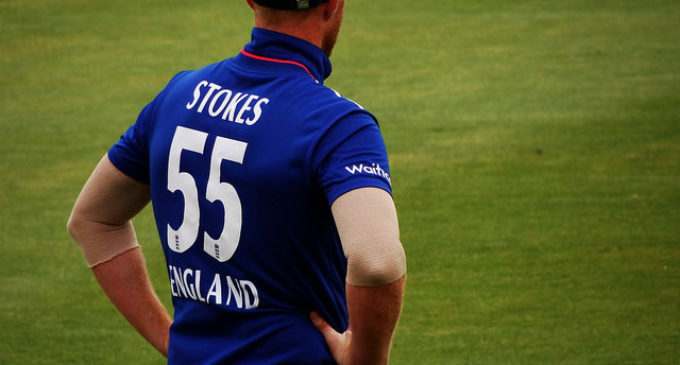 Stokes was very much a part of England’s future plans then, and it would therefore make a great deal of sense to bring him into the Ashes squad ahead of the third test. A 5-0 whitewash might be even more embarrassing than the off the field farce, so reinstating him could at least help them avoid that. His talent is undeniable. Just last year he put South Africa to the sword with a magnificent 258, breaking a long list of records, including the fastest test double hundred by an England player and the most sixes in an innings by an England player in history. England have struggled to deal with the Australian attack’s pace and aggression thus far during the current series and Stokes would certainly make their batting line-up look a lot more formidable. He is more than capable of the sort of individual brilliance that can win test matches, and he has proved it on multiple occasions. Without him the England tail looks elongated and Mitchell Starc has been slicing through it with glee. Stokes would also relieve the pressure on Anderson and Stuart Broad, who are being asked to do too much in the bowling department at their ages. Stokes has posted a video of himself bowling into the nets at full tilt this winter, reminding selectors that he is a potent weapon that can be called upon. In the sports spread betting markets England are underdogs in the remaining matches in the series and that is down to a lack of aggression from the bowlers and a lack of composure from the batsmen. 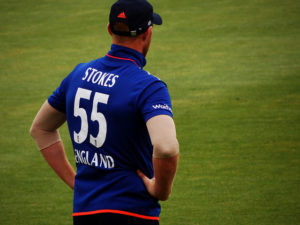 Stokes could help in both departments. Stokes alone may not be enough to save the series, but he certainly would improve England’s chances and his mere presence could spark greater confidence in his misfiring teammates. England fans must be praying he gets the green light and is called up, as then we could really have a series on our hands. Martin Green is an experienced sports writer and has been covering international cricket for many years.